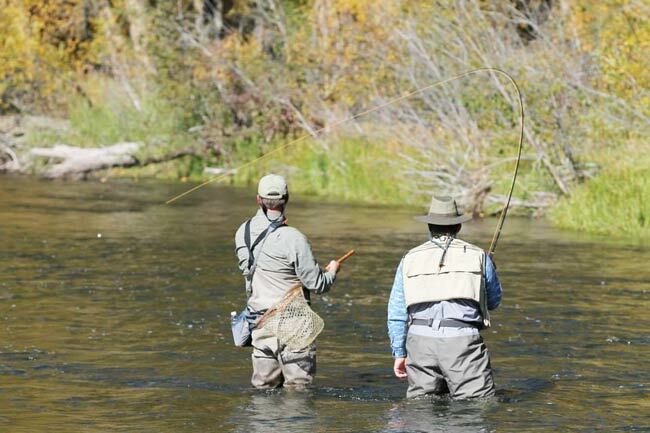 The Bar Lazy J Guest Ranch sits on a private 3/4 mile of the Colorado River – Designated Gold Medal Fly Fishing – and offers some of the best Rainbow and German Brown trout fishing in Colorado. 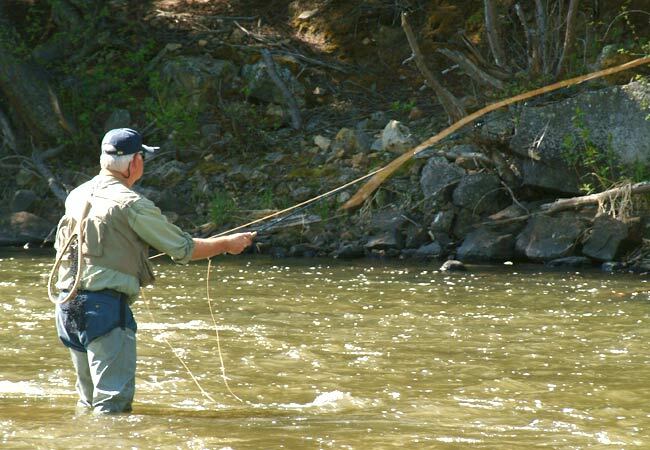 Not only is our Colorado River fishing a challenge for the "old time" fisherman, it is great fun for the family, beginner or in-between. 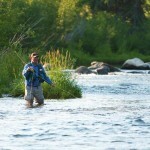 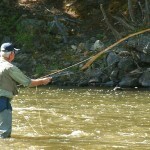 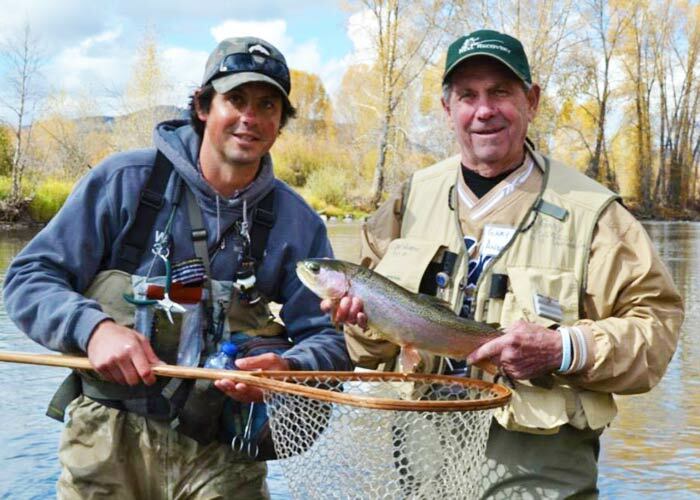 What are Colorado River Gold Medal fly fishing waters? 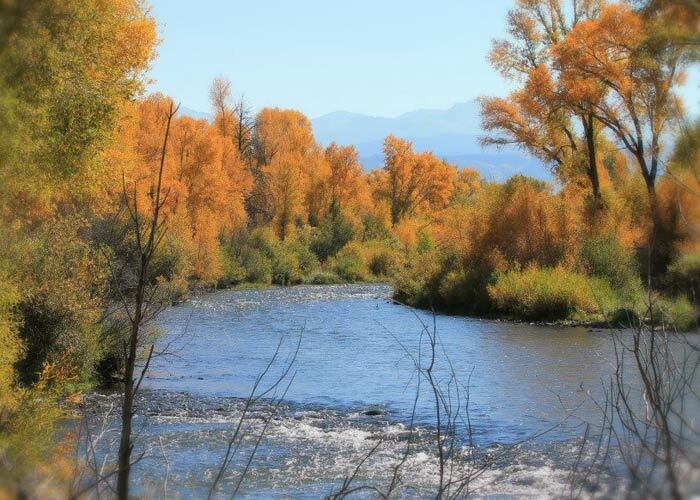 These fishing areas have been designated by the Colorado Wildlife Commission as providing great spots to catch those large trout. 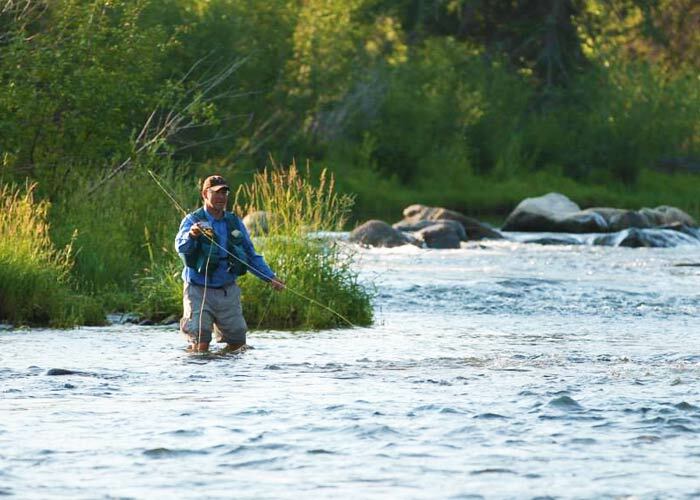 These waters are defined as being able to produce 60 pounds of trout per acre, and at least twelve 14" or larger trout per acre. 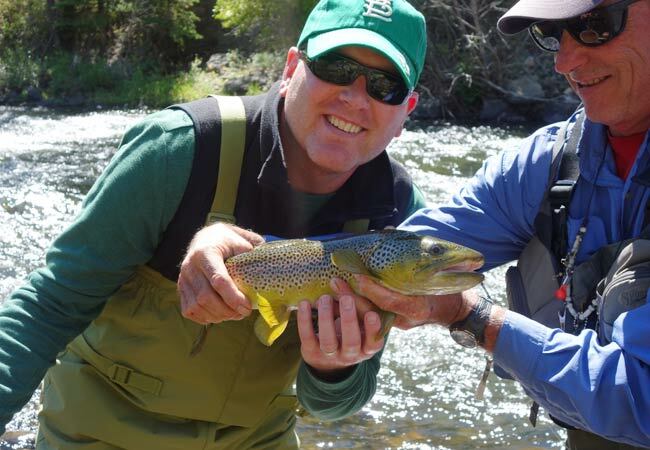 Only 322 miles of Colorado's 9000 miles of trout streams, and three lakes, carry the "Gold Medal" signature. 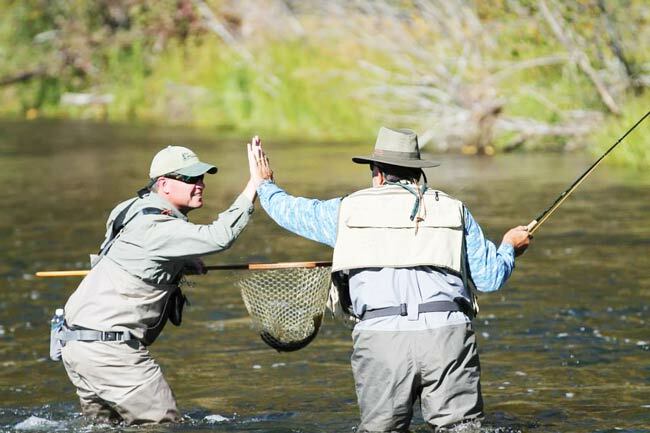 We have a Free Fly Fishing / Fishing Clinic at the beginning of every vacation week for anyone interested in learning more about fishing our stretch of the Colorado River. 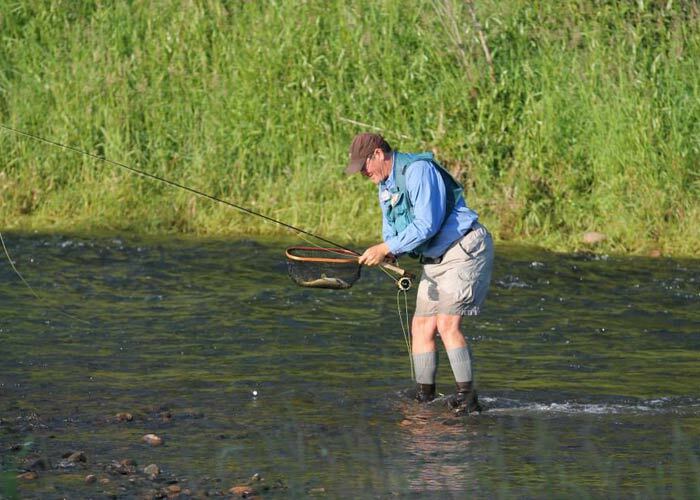 Get tips about the best conditions, best flies and bait, locations, technique and how your equipment works. 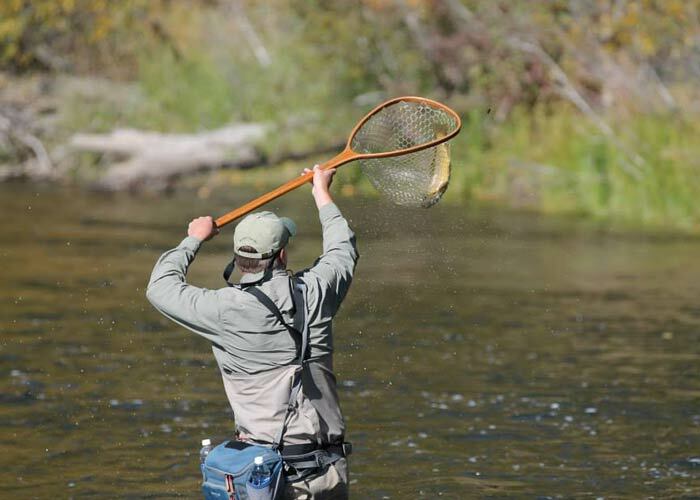 Feel bring your favorite fishing flies if you have some. 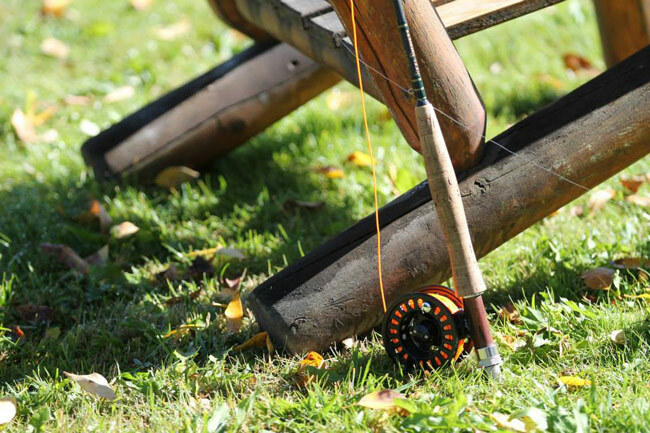 We have rods, reels, nets and waders available as part of your all-inclusive stay with us! 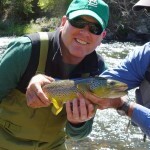 Our dude ranch also has a stocked Trout Pond for everyone to enjoy. 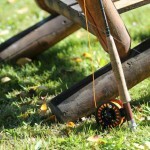 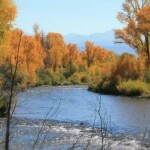 This is a great spot for the kids to cast their lines with dad and grandpa, or for anyone wanting to keep their catch. 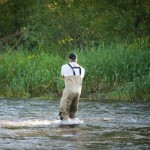 The river is catch and release, but any fish you catch in our pond, our Chef is happy to prepare for you for dinner! 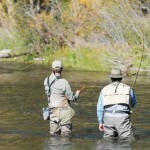 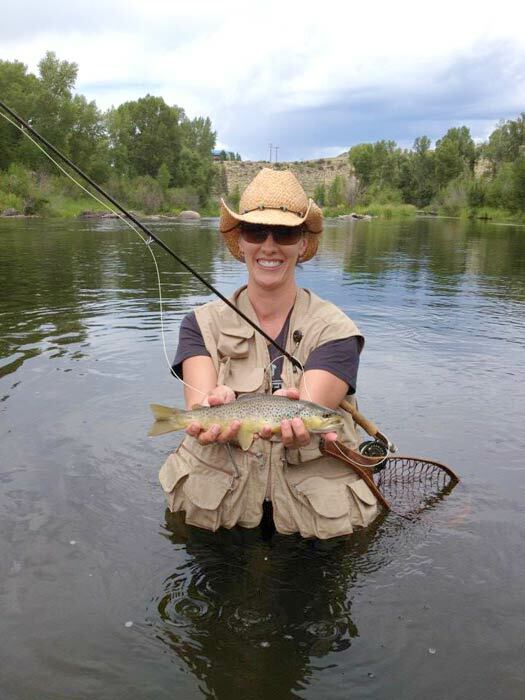 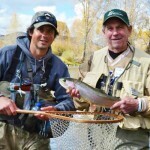 Guided Fly Fishing / Fishing tours are available throughout the week interested in half-day or whole-day excursions with professional anglers on the Colorado or surrounding rivers in the area. 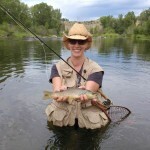 Just let us know if you’d like us to schedule you with our guide any particular day while at the dude ranch! 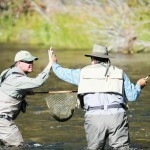 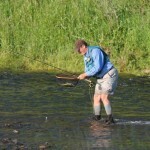 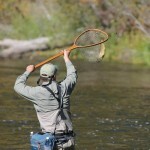 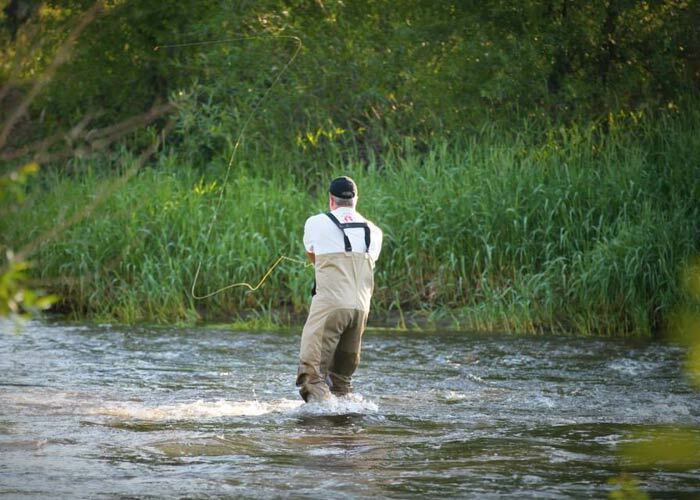 Fly Fishing VideoA short video showcasing fly fishing at Bar Lazy J.